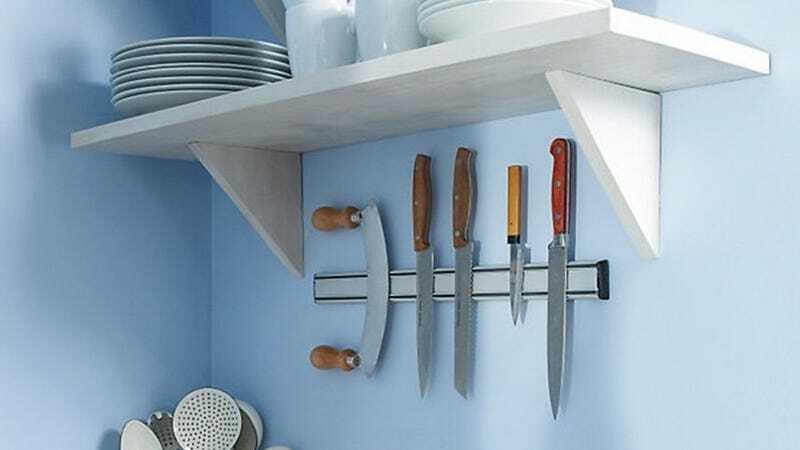 It’s a scientific fact that a magnetic strip is the coolest looking way to store your knives. It’s also less likely to blunt them than dropping them into a knife block day after day. These also make for great magnetic spice racks, if you need more storage space. Just mount a few strips underneath your cabinets, store your spices in small mason jars, and attach them from below. Need a great knife to go with it? Have a Target REDCard? Take An Extra 5% Off Online Orders, In Addition To the Regular 5% Discount.